One of life’s simplest pleasures must be watching someone skilled working with their hands. It should be something we don’t see as much anymore in an age of supposedly being so far removed from production. Yet more and more, kitchens open up so we can see fish filleted and dishes dressed, and Instagram welcomes us into studios to see potters throwing pots, or wood being whittled. Yet nothing quite compares to seeing it in person, when it isn’t a fabricated moment, but something that happens naturally. And crucially, nothing quite compares to when it fulfils the stereotype of an Italian rolling pasta. 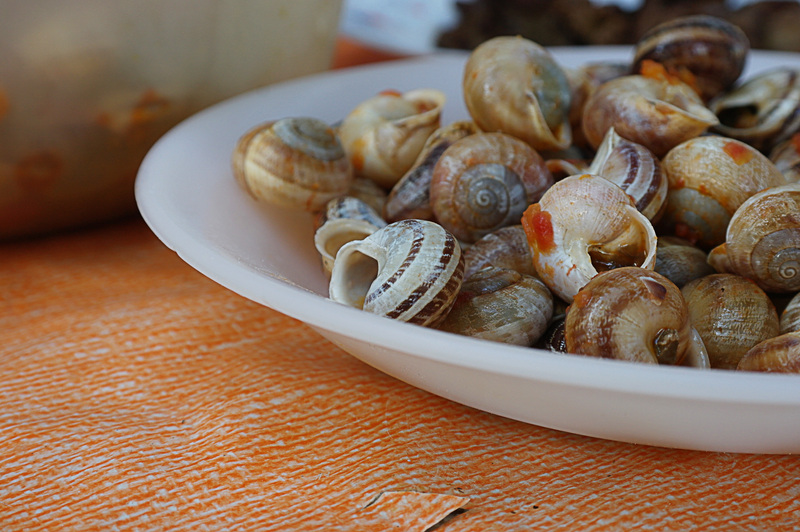 Back in 2012, I posted a video to accompany my timballo recipe of la signora delle orecchiette. The simplicity of the video, the monotony of the process and the effortlessness of the whole situation gripped me. It not only served to show how to roll the orecchiette, but to transport you to this perfect, almost otherworldly setting to sit with these ladies and join their conversation. So earlier this year, in the depths of a Roman winter, when it was suggested that gnocchi al forno should be made, and zia Anna started rolling out the dough as if she did it everyday (she doesn’t), I found myself mesmerised again by the whole moment. I pulled out the camera to film her at work. 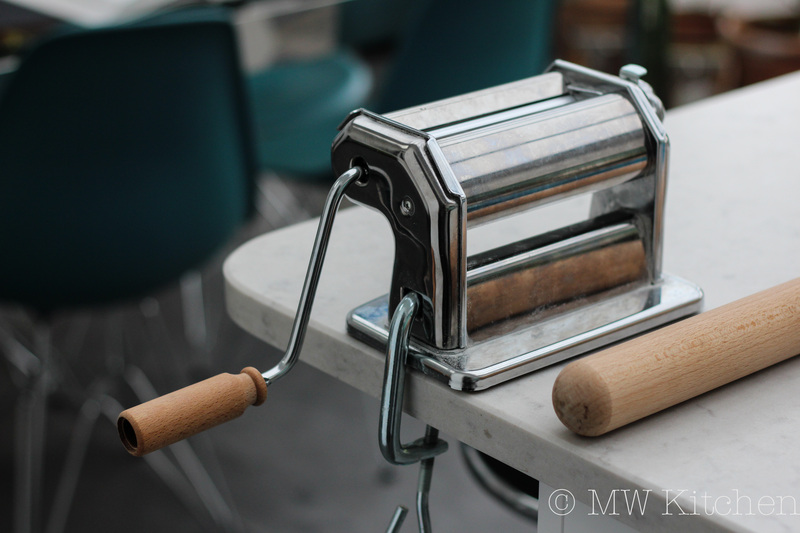 It takes me back to the whole calmness of it: the saxophone soundtrack to our impromptu pasta class, the satisfying sounds of dough being rolled, scraped and cut, and Anna’s pointers that capture such a laidback approach to cooking. All of these just about get me past the blurriness and shakiness of the recording on a prime lens! Gnocchi – farina e acqua from mwkitchen on Vimeo. This is a next level pasta bake, and this no-egg gnocchi is so simple to make that there’s no excuse not to try and make something with your own hands. Good quality tinned tomatoes and mozzarella (smoked if you can get hold of it) will make the dish. Scale up to quantity needed – the below works for two hungry people. Tip onto a board and knead to form a tighter dough, around 3-5 minutes, adding more flour if it is too wet. Form into a round ball on the board. It should sag a little when left, but not a lot. Cover with the mixing bowl you used and leave to rest for 20 minutes. Better than me explaining it is to watch the video above. Have a baking tray lined with a tea towel ready. Dust this liberally with flour. With a dough cutter or knife, cut off a handful of dough from the rested ball. On a large board or work surface, begin rolling the separated dough, starting in the middle and working your hands outwards to form sausages. Make sure there is little to no flour on this part of the board or the sausages will slip and not roll thinner. Put the rolled sausages to one side on a little flour. Repeat with small amounts of dough until you have a few long sausages. Line them up and use the dough scraper to into cut 2cm rectangles. With two fingertips, press down on the rectangles and roll towards you. Dust the rolled gnocchi with flour, pick up as gently as possible so they maintain their shape and transfer to the floured tea towels. Drop the gnocchi into salted boiling water and cook for until they rise to the surface – 2-3 minutes. Drain. In a baking dish, mix the drained gnocchi with the tomato sauce and mozzarella. Scatter parmesan on top. Bake for 20 minutes. Rest for 10. Serve. This is my take on one of those plates of food that should only be served as part of many courses in a well-heeled restaurant. But with kilos of tomatoes ripening at the end of summer last year and limited desire to turn them all into passata, there was an opportunity to try some new techniques and play around a bit. One of the most surprising things was just how well the elements work as preservers. A sorbet whose refreshing tanginess could be paired sweet or savoury; pickled tomatoes pack a punch to lift salads up a notch; a tomato powder that uses leftover skins and seeds to deliver an unami hit to anything it’s sprinkled over. The stars of the show are all out of season in Europe now but hopefully this will serve friends in warmer climes at this time of year. Besides, it’s nice to bring some summer back now the weather has turned. Two chefs inspired these. 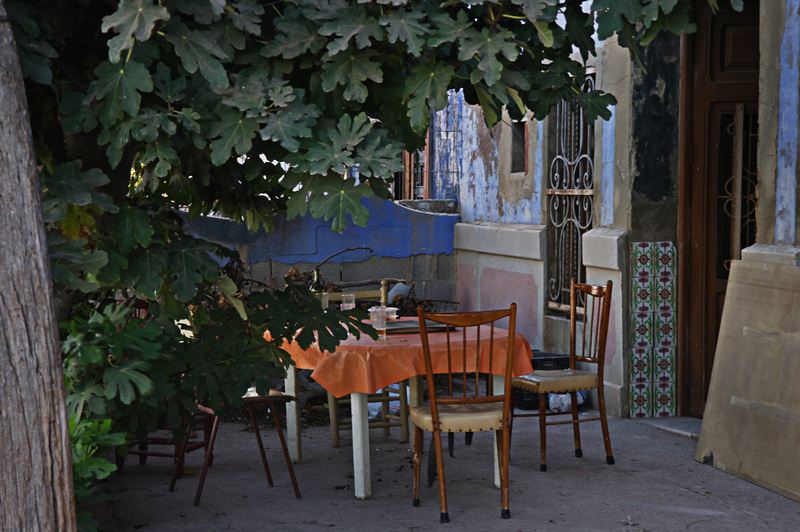 Firstly, Quique Dacosta’s restaurant in Denia which I was fortunate enough to visit last summer. His playful and minimal approach to Mediterranean cuisine is a showcase of creativity and innovation, and one of the highlights for me was a plate that explored many interpretations of the Spanish staple: the tomato. Secondly, Thomas Keller’s book ‘The French Laundry’ captures life inside and the inspiration behind an American institution. Although TFL is rumoured to be on the slide and its sister restaurant Per Se was ruthlessly taken down in the NYT this week, the book is one of the best kitchen companions for fine-tuning technique, inspiring pairings and impeccable presentation. His respect for ingredients and the importance of deriving pleasure from cooking clearly come through in every recipe and the refreshing first course tomato offerings are no exception. Simmer the tomatoes for 45 minutes on a medium heat, stirring frequently until reduced by half. Blend the onions and tomatoes until smooth and pass through a tamis or fine sieve. Return 240ml of mixture to the blender, add the remaining ingredients and blend again before straining in a chinois. Cool in the fridge before freezing 350ml in a prepared ice-cream machine. Squeeze the tomato pulp in a towel to extract the excess moisture. Line a microwave tray with parchment paper and spread the tomatoes on in a thin layer. Microwave on the lowest possible power for 30 minutes, or until the pulp is completely dried out (also possible to dry in a low oven). It should retain its vibrant colour. Let cool to room temperature. Grind the dried pulp in a coffee or spice grinder until very fine. If the mix is too wet, return to the microwave for 1-2 minutes more. Sift through a sieve to separate any remaining unbroken bits and store in a plastic container. The tomatoes can be peeled for a quicker brine. Sterilise the jars the pickle will be in. Peel the tomatoes. Combine the vinegar, sugar and 250ml of water in a pan an simmer for 5 minutes. Place peeled tomatoes in the sterilised jars, add the garlic, herbs and any other seasonings you’d like. Pour over the pickling solution to the top of the jar and seal. Peeled tomatoes should be eaten within a week or they’ll go too soft. 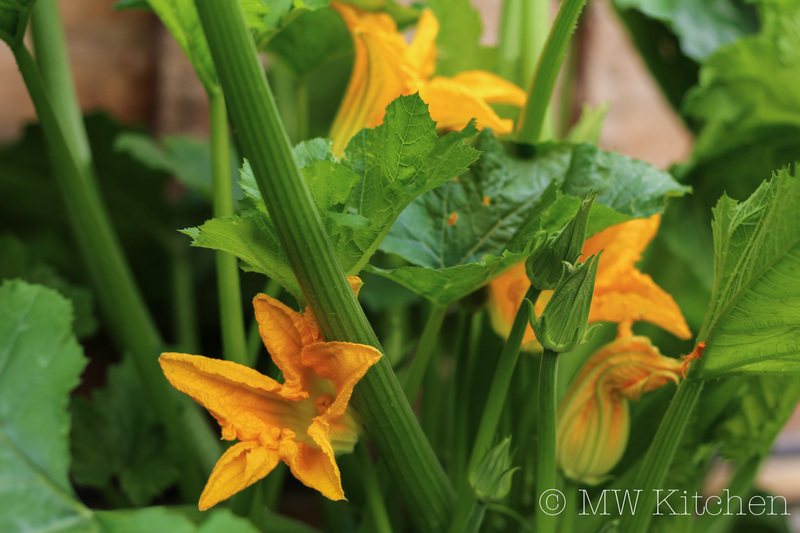 As the courgettes keep on growing and the weather begins to turn, it was time to think of more substantial uses for them and their flowers. 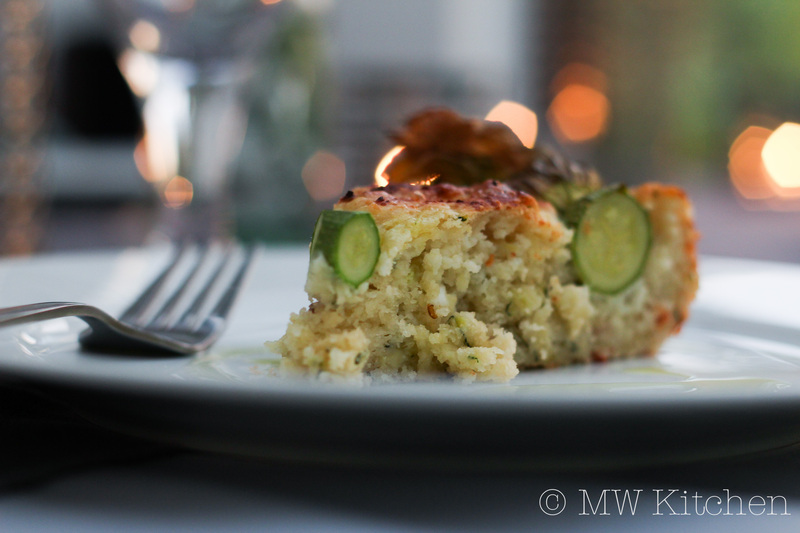 I was reminded of a bread I once had in Rome that used elderflowers and decided that grated courgettes could take their place. They sit happily between the saltiness of some cured ham and the freshness of ricotta and basil. The result is somewhere between a bread and a savoury cake – fairly dense but happy sitting on a table amongst salads or as a side to soup. It also looks pretty great, I think. 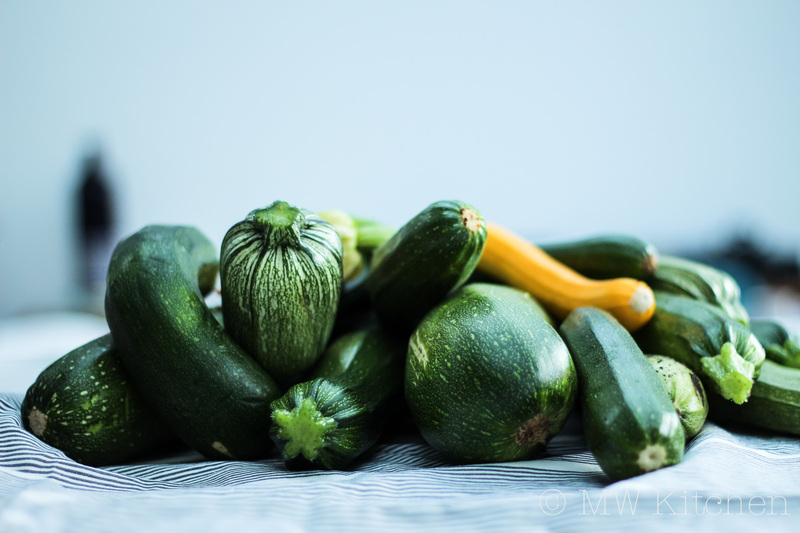 Mix the grated courgette with a pinch of salt and leave for 10 minutes before wringing out moisture with a clean tea towel. 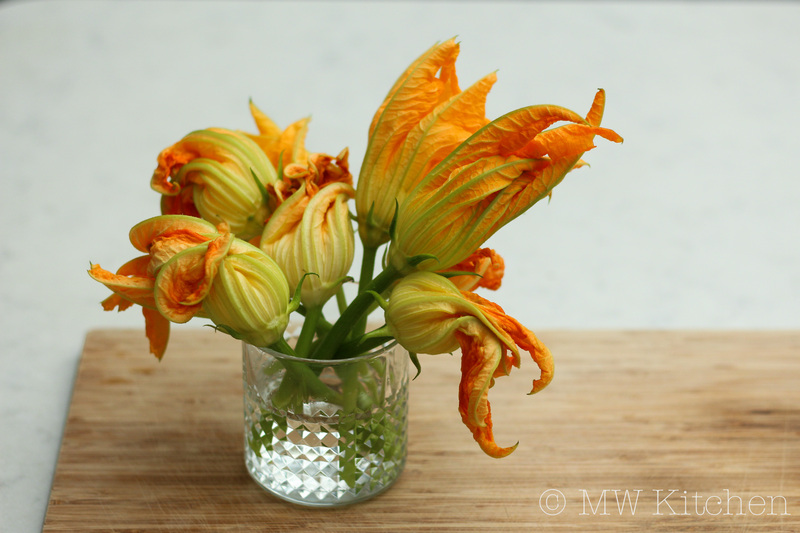 Combine well all of the ingredients in a large bowl except the salt and courgette flowers, if using. It should be of a cake mix consistency – add a little more milk if it isn’t. Add the salt and stir in before placing in a greased non-stick cake or loaf tin. Add the flowers on top. Leave to rise slightly in a warm place for 30 minutes. Preheat the oven to 180C. Bake for 30-40 minutes until golden on top and a skewer comes out clean. Leave to cool on a rack before removing from tin. This is a soft bread so keep it in the fridge. Also great toasted. I defy anyone to find a better way of eating these flowers. 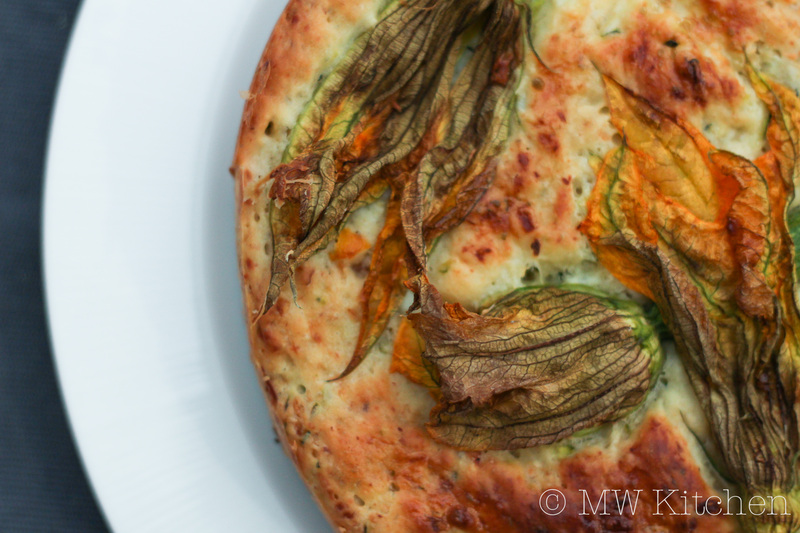 A shell of light, crisp batter protects a delicately perfumed flower petal, leading to an explosion of freshness from the light cheese and herbs inside. 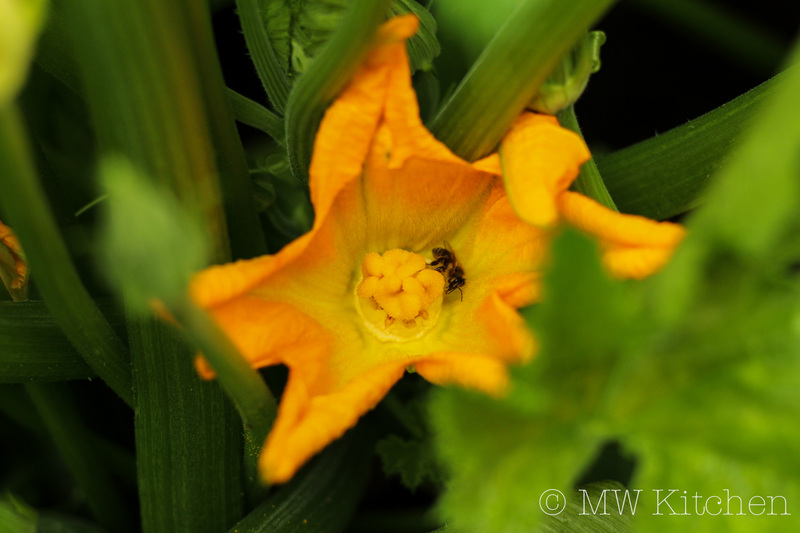 So when these big blossoms started sprouting in huge numbers in my garden, it was time to fry. If for some reason you’re trying to watch your deep fried food consumption, then slicing them raw into salads, oven baking or even shallow frying will produce great tasting and probably healthier results. It also saves the hassle of trying to remove the pistil or stamen without tearing the petals so that your flowers do not leak water into the oil causing a volcanic bubbling of oil. I found the best way to remove these was to pick the flower in the morning when it was still open and cleaning then, before filling later. 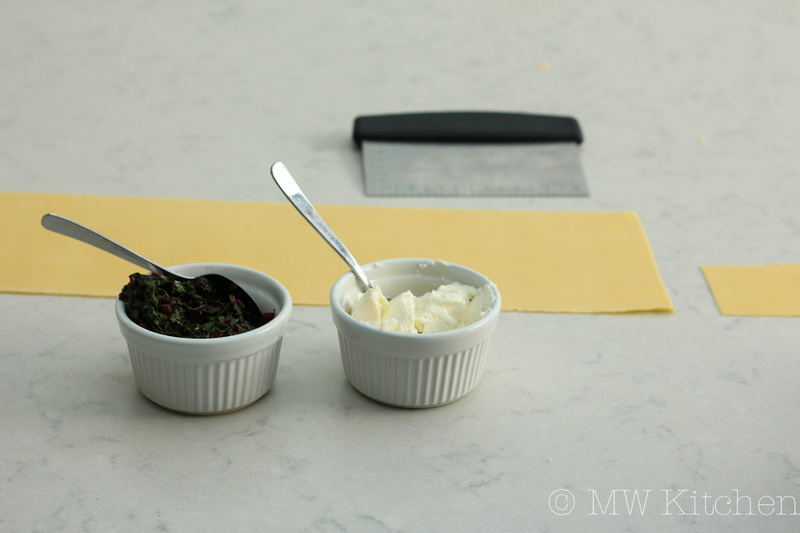 Seasoned ricotta and basil (+ finely diced salami if feeling indulgent) – my favourite. 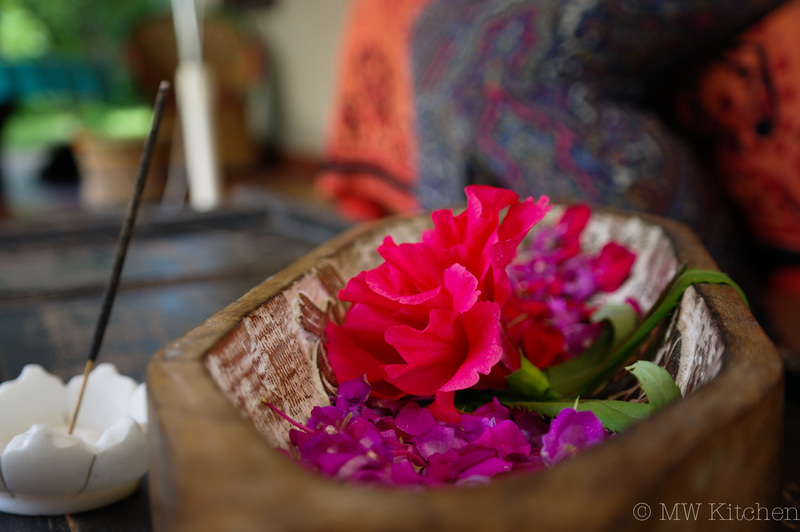 The petals will have a natural twist when closed so they should be easy to reseal when you have spooned a teaspoon or so of your preferred filling into the flower. Recipe for the batter from Jacob Kenedy’s cookbook ‘Bocca’ which has a whole chapter devoted to fritti if you should need further reason to invest. Combine the flours, olive oil and yeast in a bowl. Stir in a little water and combine to form a thick paste without lumps. Add the remaining water until you arrive at a nice single cream texture. Leave to rise covered for one hour or up to 5 hours at room temperature. Heat a saucepan with 4cm of your preferred frying oil to 190C. Sort your workstation out around your hob. 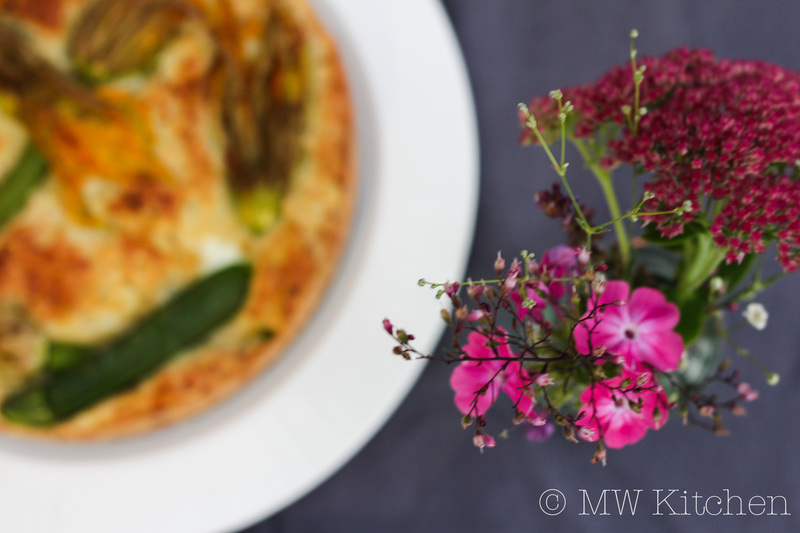 A plate lined with plenty of kitchen towel on one side, the batter on the other with the stuffed flowers. 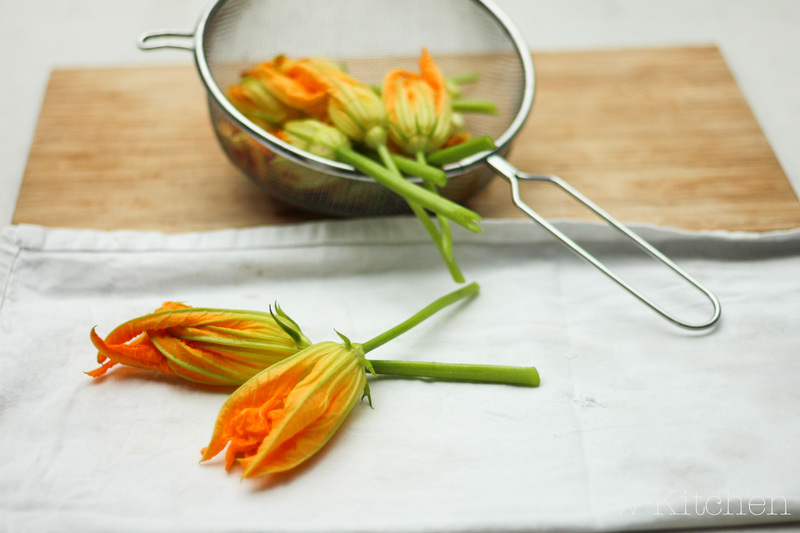 Hold the flowers by the stem and twist in the batter to keep shape and seal any holes. Hold the flower above the batter for around 10 seconds allowing most of it to drip off – this is Kenedy’s trick for a lighter batter. 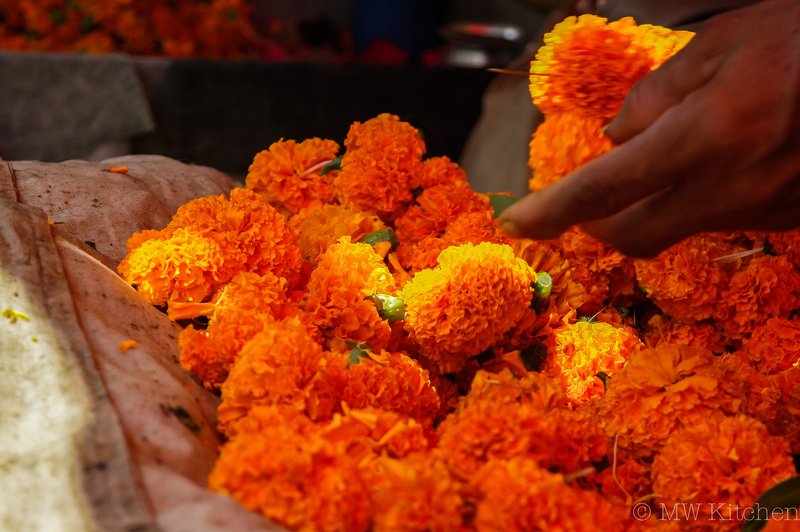 Then carefully place the flower into the heated oil, dipping the head in first to seal the head and then releasing it away from you – do not drop from a height! Fry for 1-2 minutes, turning once when the underside is taking on a golden hue. Remove carefully using tongs, allowing as much oil to drip off as possible before draining on the kitchen towel. Try and do in batches but do not overcrowd the pan, you have about 4 minutes until they are perfect temperature to eat, and 7 minutes until the batter becomes soggy! 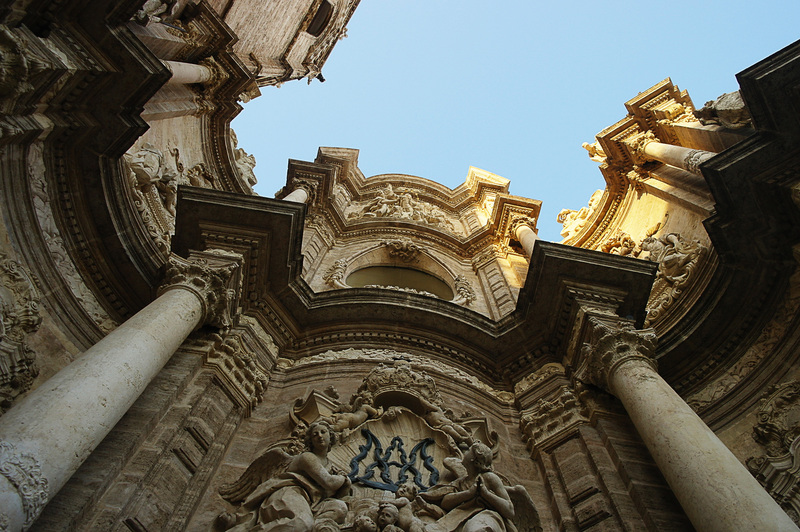 Pasta in Italy is a wonderful demonstration of adapting to the ingredients one has to hand. Fillings, shapes, sauces and even the names attributed to this commodity reflect the diversity of the country’s ingredients, people and cultures from the snow-peaked mountains of the North to the sun-drenched expanses of the South. With that in mind and having transformed half of the garden into a vegetable patch confused as to whether summer was coming or going, it was time for some homegrown beets to get the Italian treatment. The diversity of pasta lends itself to something that can be wonderfully humble and unpretentious – spaghetti aglio e olio or spaghetti al limone, for example – through to more complex and delicate filled pastas. 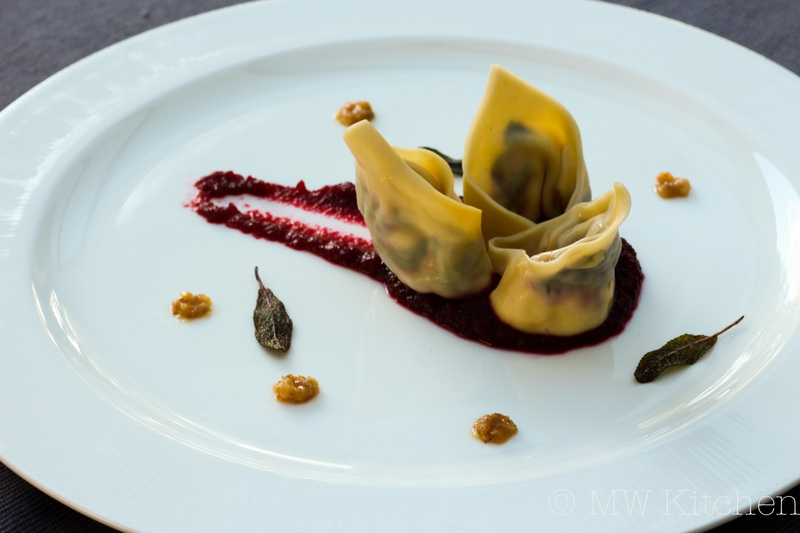 In this dish, the filling of leaves provides an earthy and crunchy contrast to the creamy cheese and pasta parcel, a silky puree of beetroot adds a sweet touch and a touch of nutty walnut paste tops it all off. Prep the walnuts by toasting them in a 170C oven for 4-5 minutes, wrap in a cloth and rub to loosen the skins. Shake and pick out walnuts to cool, removing any large remaining pieces of skin with a knife. Crush the garlic in a mortar, add the walnuts and work to a smooth-ish paste. Stir in olive oil slowly (around 2 tablespooons) to loosen and create a lovely texture. This can be stored in sterilised jars for around 4 weeks. Cook the beetroot in your preferred way – I roasted for one hour in a 180C oven with some oil and seasoning. I’m sure boiling them would be just as good. Remove skins and roughly chop. Blend the flesh adding a slow trickle of olive oil at the end to emulsify slightly. Season to taste and set aside. For an extra fine puree, pass mix through a fine sieve before adding oil. Lightly fry the garlic in olive oil and add the leaves, stirring on a medium-high heat. Once slightly wilted, take off the heat and set aside. Roll the pasta dough a handful at a time, leaving the remainder wrapped in the fridge. Roll through each setting of the machine before folding over 3 times and repeating until you have a silky textured sheet with smooth edges, as thin as possible without it breaking during filling. Lay the sheet on a floured surface and cut a few squares from it. Place a teaspoon of the cheese and of the beetroot in each and fold over into a triangle, getting as much air out as possible. Use a little water to moisten finger if to dry to seal. Join the two long corners together to form a ring. Set aside on a floured surface. When all the parcels are made (I’d do four at a time and then bring out the remaining dough to start again to avoid drying out), drop into salted water at a rolling boil. Leave for 2-3 minutes until cooked before draining. Toss in a little olive oil or melted butter to prevent the tortellone from sticking. 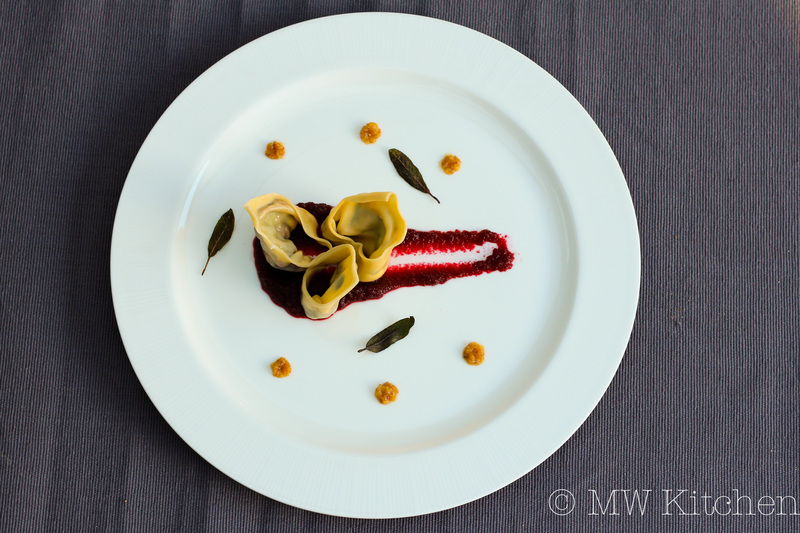 Quickly reheat beetroot puree and place a large spoonful onto each plate followed by pasta. Add drops of walnut paste and fried sage leaves. 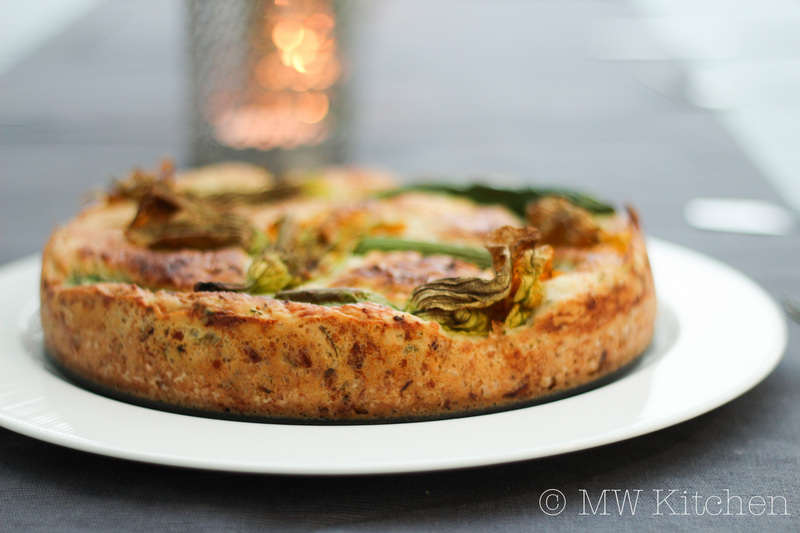 With this blog I have always attempted to bring recipes to the table with the idea that meat can be part of a sustainable diet and not a source of exponential environmental degradation or animal suffering. Be they less commonly eaten cuts or animals altogether, I still believe – perhaps in vein – that this approach with the right consumer attitude can secure meat as a viable menu option for the future. One masters in Corporate Social Responsibility and a couple of sustainability research positions later, and my belief in business as an agent for sustainable development and not just blinkered economic growth remains. My research over the past two years has opened my eyes to the difficulty of operating sustainably in global markets where influence and accountability are often lost in complex supply chains that serve price first, ethics second consumers. 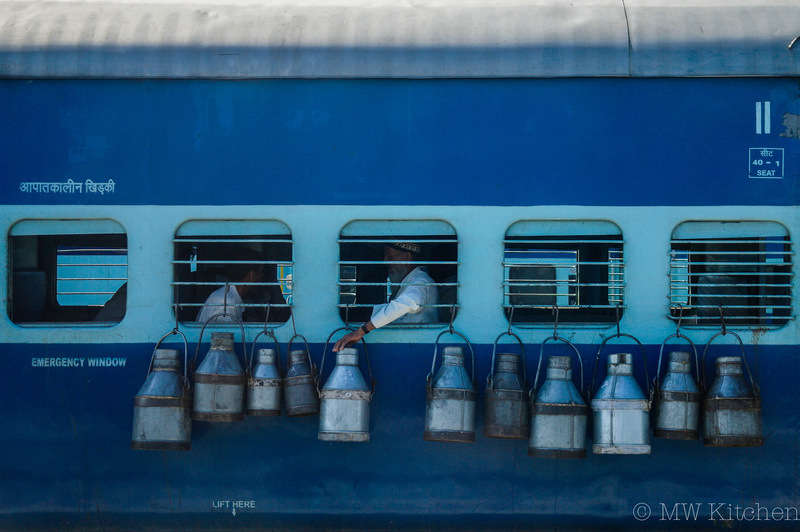 Perhaps India is a good place to return to to ease myself back into this blog and approach to food. While as a country it faces many of its own food security challenges, if there were to be a vegetable haven in the world then India must surely be it. But away from the billion preparations for daal, bhindi, and aloo, there is an approach to meat-eating that reflects many of my own values. 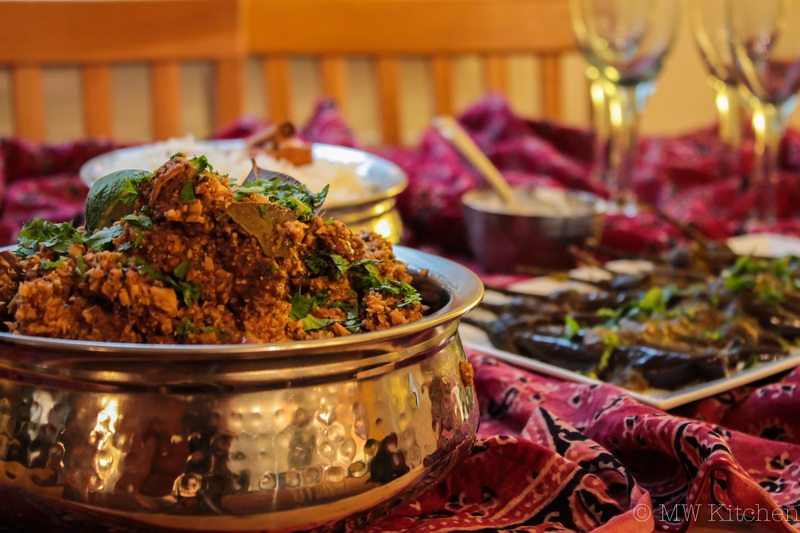 Although maybe not out of choice, meat is a rare luxury for many of India’s non-vegetarians – something for feasts and celebrations not just mindless consumption. 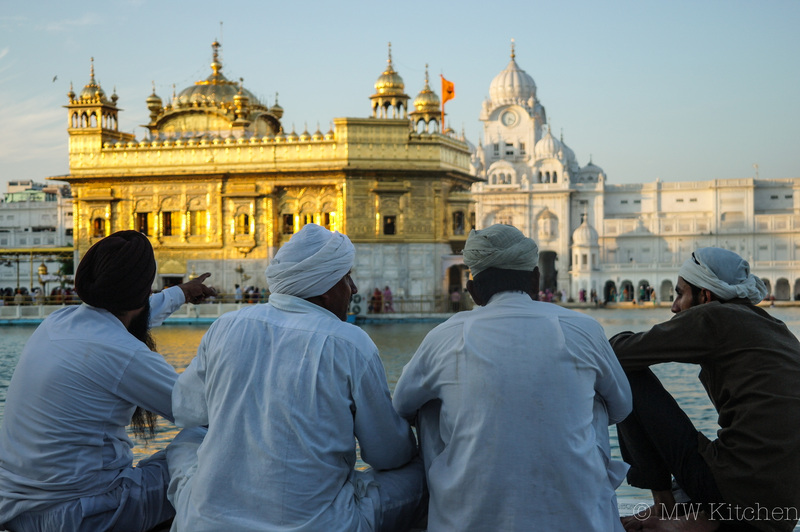 During a trip there a couple of years ago, I was fortunate enough to stay with a family who, as Indian hosts tend to do, go the extra mile for their guests. After an impromptu cooking class in their idyllic space on the edge of the Corbett National Park, we would feast on the most vivid flavours imaginable. This is an involved dish, but the resulting flavour complexity and the satisfaction from having transformed a tough old goat into something wonderfully rich, moreishly spicy but equally fresh are worth it. Pungent spices permeate the once tough but now meltingly tender goat, marrow waits to be slurped out of bones and everything is punctuated by the freshness of lime, coconut and coriander. Toast the spices in a small frying pan over a low heat. Crush in a pestle and mortar until fine. Blitz the coconut flesh in a processor or blender until a thick paste forms. Loosen with the reserved coconut water. Add the ground spices, combine and set aside. Lightly salt the chunks and brown the mutton in batches in a large saucepan or pressure cooker on a high heat. Return all mutton to the pan with the cinnamon stick, add water to a 1cm level, cover and leave to cook on a low heat. 1 1/2 hours for a pan or 30 minutes for a pressure cooker. Remove from the heat and leave meat in cooking juices. 30 minutes before the meat is finished cooking, heat 1cm of preferred cooking oil in a large, heavy pan. Fry the onions until golden-brown (around 15-20 minutes). Add the dry spices and stir for 1-2 minutes. Then add the ginger and garlic paste, the coconut paste above and the grated tomatoes. Combine all the ingredients over a medium heat for 5-7 minutes. Switch to a low heat and add the cooked mutton pieces, leaving the remaining liquid in the other pan. It should be falling off the bone as you stir it in but don’t worry about this. Leave to combine on a very low heat for as long as you like or until needed. Add a ladle of the mutton cooking juices and the reserved coconut water every 20 minutes or if the curry needs loosening. These juices combine with the other ingredients to slowly form a thick gravy. When ready to serve, squeeze the lime juice into the curry. Sprinkle with coriander and green chillies (if using). Serve with some good raita, chapatis and plenty of cold beer. It seems outrageously hypocritical to write a post criticising attitudes towards meat, accompanied by images of, and a recipe for a multi-layered meat feast. From my point of view, it is even more ridiculous to concentrate upon a subject I have put so much effort into not eating for the past few weeks and thus find myself uncontrollably salivating over the keyboard whilst editing said photos. Yet in times where meat is no longer consumed in terms of availability and quality, but in those of cost and quantity; in the context of a rapidly narrowing window of opportunity for a slightly less bleak environment of the future, I felt the urge to offer my humble opinion upon my public platform. And so, in keeping with the imagery and style I aim to maintain on here and so that this blog doesn’t become just a textual rant, I provide my view alongside a sustainable, 100% horse venison crepe lasagna. As the supermarkets’ inability to act with any grasp on responsibility or sense of moral fibre increases alongside their profits, the horsemeat fiasco has led the British ones to immediately look, as is the trend with such corporations, to anywhere but themselves to place the blame. The unjust pressure they consistently place upon suppliers to conform to their drive for increasingly lower costs seemingly playing a trivial role in the whole thing. And as some shoppers reeled in disgust at the thought of (shock-horror) being lied to by their ‘trusty’ supermarkets, they started to read labels and look up from their processed plates of food to question what they were really throwing down their gullets. The latest consumer statistics show a decrease in processed meat consumption alongside consumer’s level of trust in supermarkets; a rise in sales at local butchers, of meat alternatives such as (the questionable) Quorn; and increased calls to action for a more tightly regulated food industry. But equally as clouded as the supermarkets’ ethical position may be, and as sinister as the ‘Mafioso’ abattoirs that supply them, is the destructive path down which we as consumers are leading ourselves. I watched an inspiring documentary this week, ‘Surviving Progress’, which I highly recommend to anyone with an interest in our planet and where it is headed. One of the standout moments was David Suzuki explaining our planet as a ‘natural economy’. 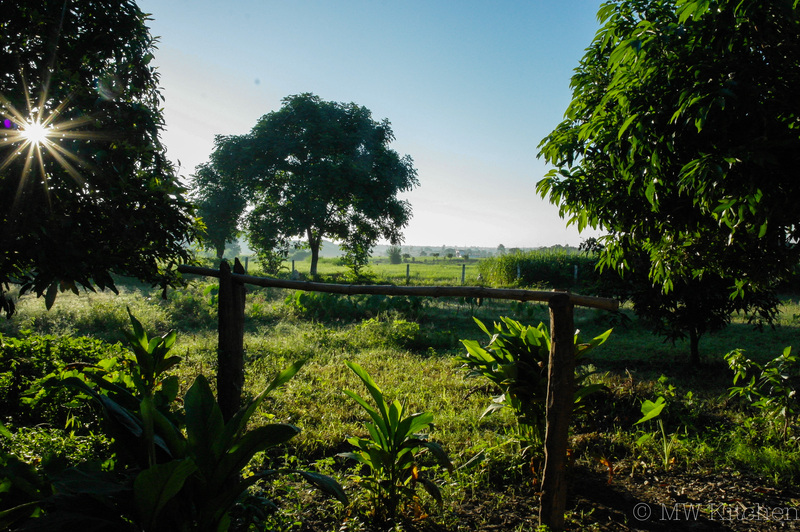 For the hundreds and thousands of years up until around the 1980s, as humans we lived from the ‘interest’ of the land thus what we consumed was naturally replaced in a relatively harmonious cycle. Yet we have now reached a point where we are delving into the capital of the land and consuming much faster than resources can replenish themselves. With a spiralling world population and the rise of the middle class in some of the world’s most populous nations idealising the destructive Western culture of overconsumption, the demand on a whole multitude of industries has never been greater. At this pivotal time, this insatiable and deeply ingrained desire for more needs to be replaced with a culture of less. The sad reality is that this objective, this necessity, is seemingly unachievable at any kind of effective scale. Changing that many attitudes to such an extent requires a time scale that is not afforded to us. So my new pledge to eat meat and fish just once a week bought from an independent butcher and fishmonger is completely irrelevant in the grand scheme of things. On a problem of this scale, there is no ‘every little helps’ solution. As items make their way from the supermarket shelves into our packed baskets, we as consumers are voting. We vote for products to survive with their purchase and be discontinued through their lack there of. Thus the horsemeat scandal has been a fantastic and much delayed wake up call for those corporations to which consumers reacted so rapidly to with their purses and wallets. The fear is that it becomes another short-lived phenomenon. Much as we have seen in the past with consumer reactions to BSE, it doesn’t take long for us to forget and move on, to return and to vote based on the lowest price. It doesn’t take long for their ‘more tightly regulated’ supply chains to slip in salience, so profit margins increase until the whistle is blown on them again. This change requires a rewiring of the mind-sets that constitute our Western societies so as to consume less, more responsibly, from the controlling oligarchies right through to those who are being priced out of buying sustainable items of food. For corporations to sacrifice their own profits and not pass the added costs of responsibility on to the consumer. For governments to demand more transparency from these overly powerful corporations and to regulate a self-destructive industry. My very brief stint without meat or fish has left me with a deep found respect for vegetarians and vegans (not ‘pescetarians’ – your thinking is deeply flawed so feel free to climb down from your hmm… high horses anytime soon). My very insignificant project was a personal one, born out of a realisation that in the future I don’t want my meat and fish to come from a chemical lab as our stocks are so deeply depleted and the industry’s effect on our natural habitat so deeply scarring. I impatiently wait for it to be over and to sink my teeth into some meat once again, rightly unashamed that I will so eagerly return to eat it. However, I will become that cliché who checks the menu at a restaurant for sourcing information and who can’t just pop down to the local supermarket and pick up some fish for dinner. I know that the change for me is a positive one in terms of satisfying an ethical conscience; eating better quality food; and the innate feeling of goodwill derived from directly benefitting those working in a shorter, more transparent and mutually beneficial supply chain rather than playing into the paws of the fat cats. I’m no sustainability saint but I endeavour to practice what I preach. I’d love to fly the flag of youthful optimism and believe that we, as a society, have the opportunity to change just slightly whilst there is time and adjust to be happy with a life of less. Yet more realistically, I believe that whilst the powerful are so comfortably in control, they will sit back and wait for reality to more brutally change it for all of us. 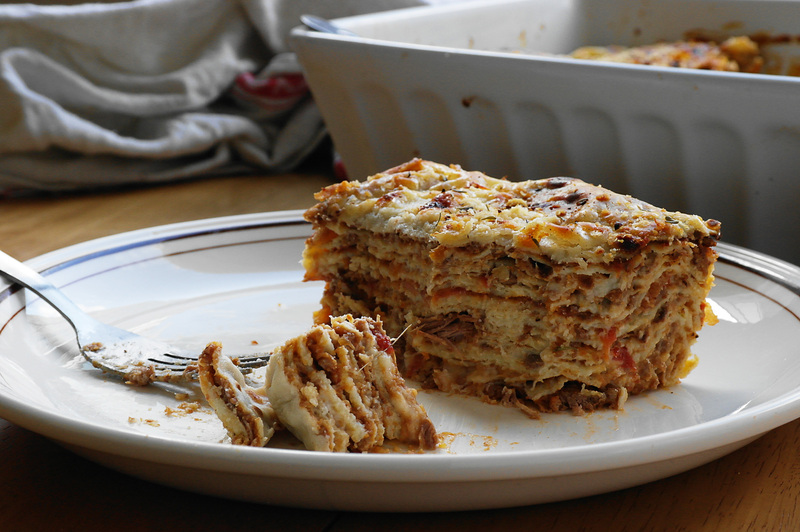 On a much lighter note, this rich venison ragú, so gluttonously trapped between thin layers of crepes and silky béchamel is a wonderful alternative to the denser pasta tradition. I guess the majestic beauty of a deer is quite comparable to that of a horse, but this is about as sustainable and efficient as meat comes in the UK and can be found at reasonable prices at butchers and even supermarkets, at most times of year. n.b The photo of the dish was taken the day after it was made, and not wanting to ‘zap’ the colour out of it in the microwave, I didn’t reheat it. Thus it is not displayed to its full oozing potential… I guess you’ll just have to experience that for yourselves. In a large, heavy pot, brown the meat in batches on a high heat and set aside. Render the Pancetta in the same pan on a medium heat for 5 minutes and use this fat to sauté the vegetables for another 5-7 minutes or until translucent. Add the garlic and cook for another 2 minutes then stir in the tomato puree. Deglaze with the red wine then add the tomatoes, herbs and seasoning to taste. Bring to the boil then reduce to a very low heat and cook for 6-8 hours, partially covered until the desired consistency is reached. Remove the thyme sprigs and bay leaves when done. Melt the butter and leave to cool. Whisk the eggs and milk into the flour, leave to rest for 30 minutes and finally add the melted butter just before cooking. Heat a crepe pan or decent non-stick frying pan, very lightly greasing with butter for the first pancake but not the remaining. Ladle in the batter, swirling the pan whilst doing so to cover the base. Flip after one minute and cook for another 30 seconds before setting aside. This quantity made enough pancakes for around 10 layers, thus adjust according to size of dish being used and layers desired. Melt the butter in a saucepan on a medium heat, sieve the flour a little at a time into the pan, constantly stirring with a hand whisk. 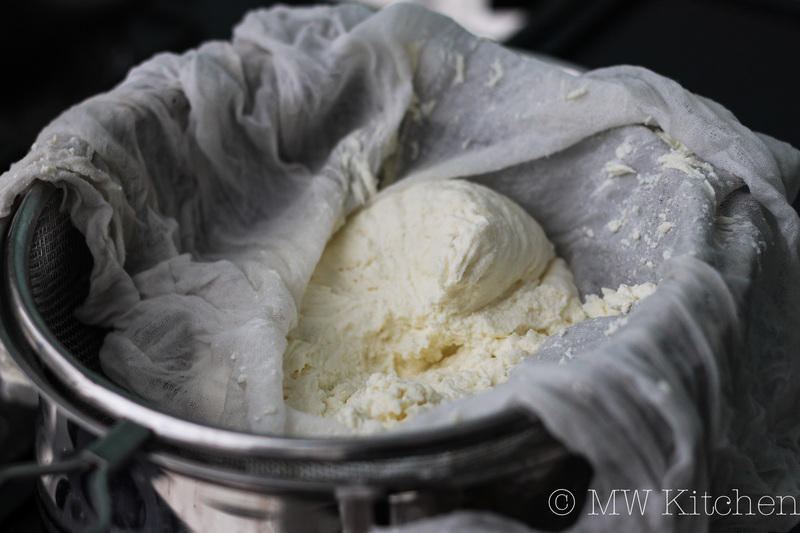 When a thick paste is formed, very slowly add the milk in small batches. Whisking until fully combined each time and so a silky béchamel forms. When all the milk is combined, stir in the nutmeg, parmesan and some pepper. 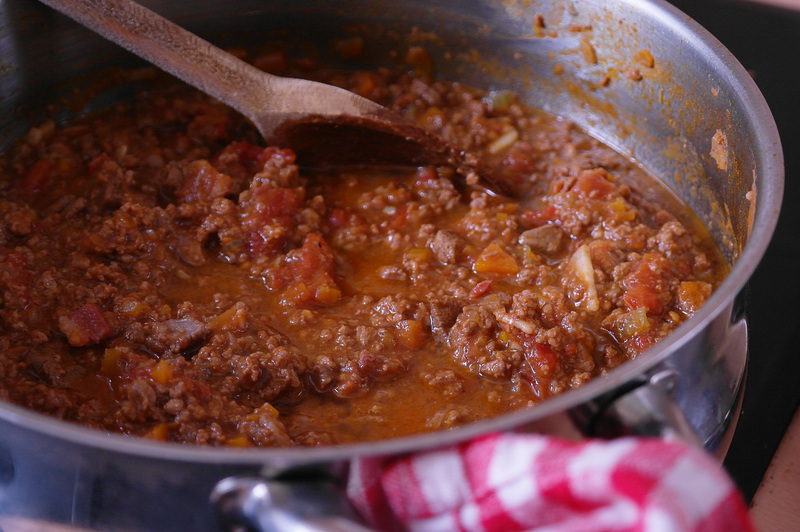 Lightly grease a large baking dish, then add a ladle of ragu and a smaller ladle of béchamel. 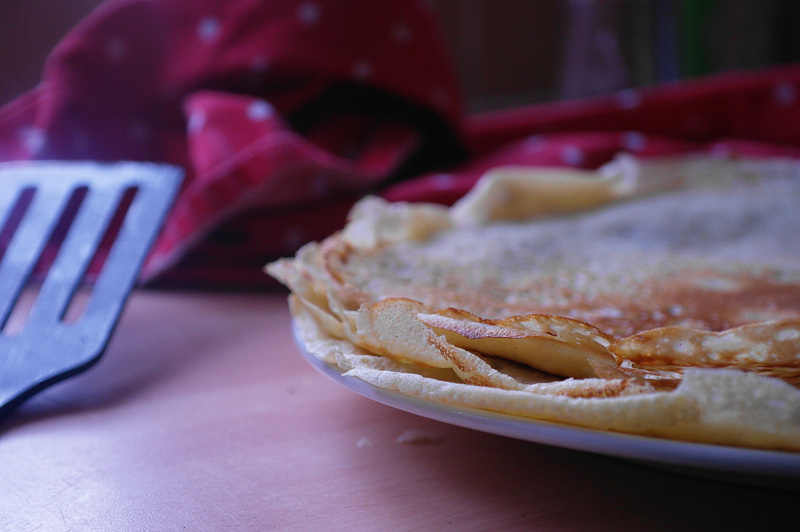 Combine and spread the two to generously cover the base, then cover with a layer of crepes, cutting them in halves if needed to ensure no gaps and as little overlap as possible. Repeat with the béchamel and ragu, then pancake layers. Finish with a layer of béchamel and extra grated parmesan then bake in the oven for 30 minutes. Leave to rest out the oven for a further 10 minutes before serving at the table. 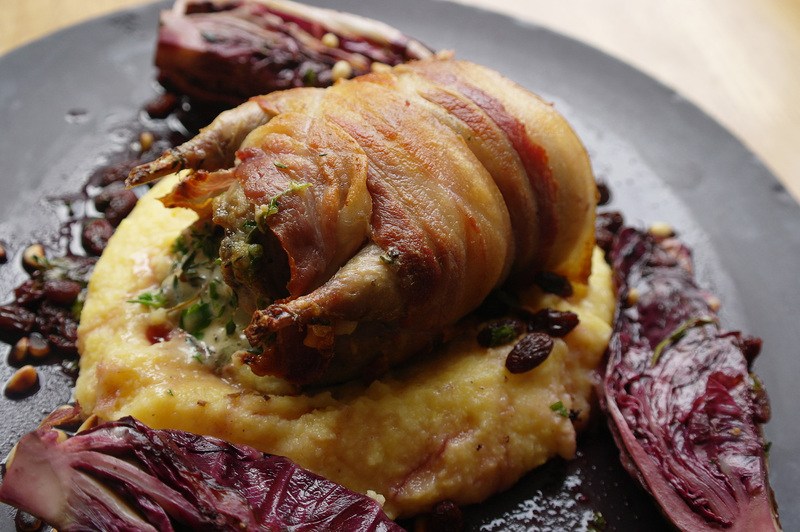 Roast partridge with mascarpone and thyme, polenta and red wine braised radicchio. I wanted to catch the end of the British game season so made use of the free weekend after exams to get a few different dishes done. 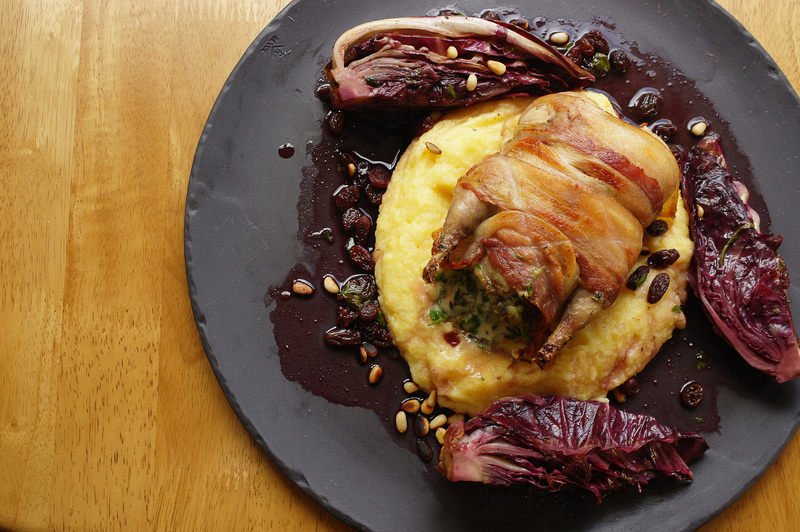 I settled with partridge, and the cold weather served as the perfect excuse to eat it with hearty polenta and bitter radicchio to cut through the richness. I pinched the idea for the mascarpone and herb stuffing from a River Cafe recipe I had seen and used the cooking juices to braise the radicchio with some red wine to serve as a sauce too. Getting my hands on radicchio reminded me of the constant variation in leaf vegetables available during my time in Valencia, so I trawled through my photos from the city centre taken around this time last year for respite from the unrelenting grey skies here and have included them in this post. It was the first time I had bought real polenta and cooked it rather than used it for cakes. Despite the extra effort in making it, the resulting texture and flavour subtlety makes it worth the effort and a far cry from the stodge that instant polenta produces. It needs some sharpness to cut through it, so the radicchio really helped in balancing the richness. Ensure the partridges are clean before mixing the the herbs into the cheese and seasoning well. Fill each cavity with the mix. 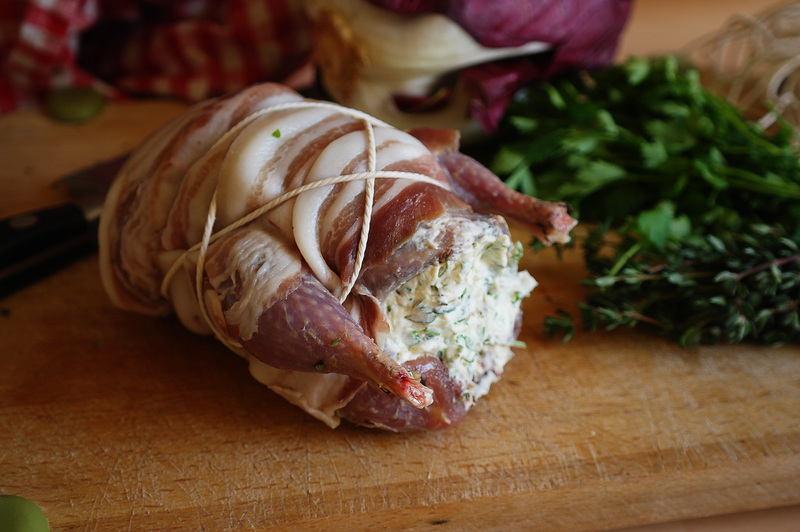 Wrap each bird in pancetta and secure with string. Heat some olive oil in a roasting tray on the hob until hot. Brown the birds on all sides before transferring to the oven for 18 minutes. Bring the water to boil in a large, thick-based saucepan. Add the salt and slowly add the polenta flour in a continuous stream whilst stirring with a whisk to prevent lumps. Once completely blended, it will start to bubble. Reduce the heat to minimum and stir frequently for around 40-45 minutes until it falls from the sides of the pan. Stir in the butter and any extra seasoning if needed. Toast the pinenuts and set aside with the drained sultanas. Add the roasting juices to a heavy bottomed wide pan or skillet on medium-high heat. 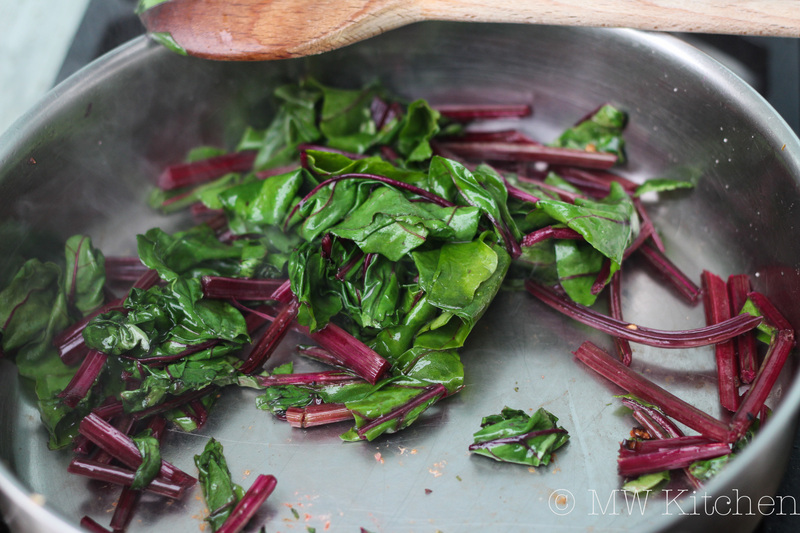 When smoking, add the radicchio quarters and turn frequently until caramelised on all sides. Add the red wine and stock, turn the quarters for a further 30 seconds before setting aside. Reduce the liquids to a desired consistency on a high heat, adding the herbs, sultanas and pinenuts for the last 10 seconds before transferring to a pouring jug. Spoon some polenta to the centre of each plate, place the partridge on top and arrange the radicchio before pouring over the wine reduction. It has been a while since my last post due to a constant stream of university work and ever shorter days, so I finally managed to put a dish together over the holidays and get some photos just before the light went. This will be the third post out of the last four which uses rabbit as a principal ingredient, reflecting my love for its tasty and versatile meat. Instead of roasting or braising the saddle, I recalled a dish I had made with an Italian friend whilst living in Spain. 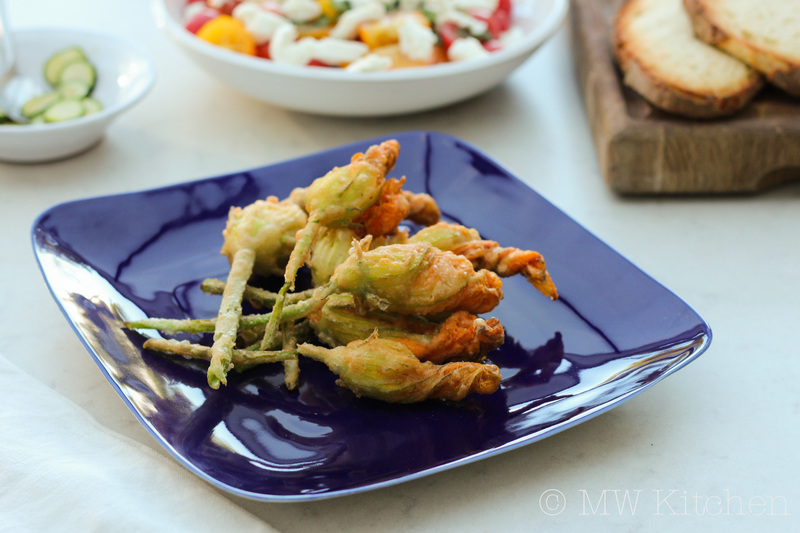 Coniglio Fritto sounds a lot better than fried rabbit, but essentially that is all it is. The meat doesn’t dry out as so often can happen with roasting farmed rabbit and retains a wonderful texture enveloped in a crisp exterior. But laying down a couple of fried fillets didn’t really fit in with the rest of the dish so I wrapped them in Serrano which added a salty element to work with the sweet onions and tomatoes. The Pesto adds an underlying nuttiness and earthiness to the dish, along with the girolles, which again made for some great flavour pairings. I made the pesto following the fantastic recipe for traditional pesto on Tales of Ambrosia, adjusting the quantities only slightly so it was less liquid. If anyone takes just one thing from this dish it should be trying rabbit cooked this way, eaten with some aioli or some pesto, I defy anybody to not be going back for more. Roll the saddles in the flour, followed by the egg and finally the breadcrumbs. When fully coated, carefully place in the hot oil and cook turning when the underside has browned. After around 4-5 minutes, or when golden brown all over, remove and leave to rest on paper towel. The night before, season the legs with salt and pepper and leave covered in the fridge. The next day, rinse off the seasoning and pat dry. Place in an ovenproof pan and cover with your choice of fat. Bring to a simmer for 15 minutes on the hob before covering with foil and cooking in the oven for 4 hours. Heat the butter in a frying pan and when hot, sautee the mushrooms for a couple of minutes until slightly browned. Remove from the heat until ready to serve. In a small roasting tray, move drizzle with some quality oil and season well. Roast for 15 minutes or until skins are starting to split. In a bowl season the peeled onions and stir with a couple of tablespoons of oil. Meanwhile heat a heavy-based saute pan or skillet on \ medium-high heat, and add a tablespoon more of oil to this. Add the onions and brown for 5 minutes. Reduce the heat to low, add the vinegar and stock, then cover. After 20 minutes, uncover, increase heat to high and add the butter, shaking pan and glazing she onions for 2 minutes. Spread a tablespoon of the pesto onto the plate. 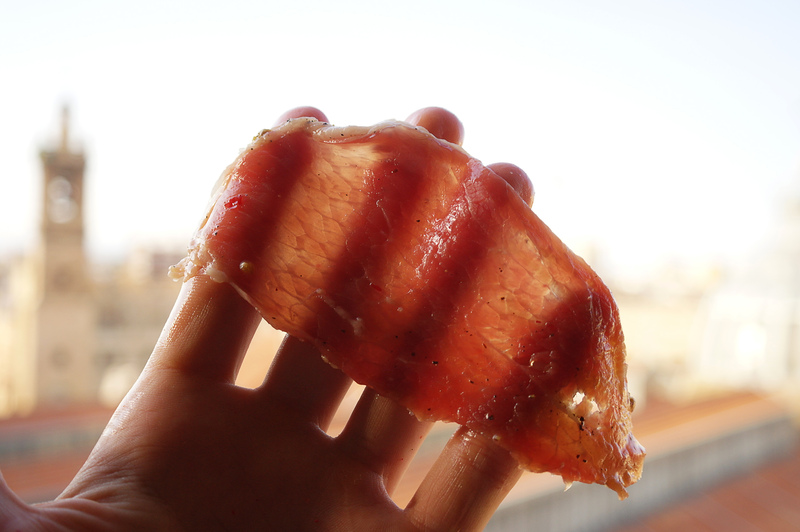 Wrap the fried saddles in Serrano ham, cut off the ends and plate. Heat some oil until smoking in a frying pan and quickly but carefully brown both sides of the confited legs. Split the hind legs if large, before plating. Arrange the vegetables and serve. It took me a while to decide on how to present this post about Spain’s most infamous and disputed dish. I thought about going down the history route and how it arrived to become the national dish of Spain for the rest of the world. I considered just discussing what makes a ‘true’ paella and why. 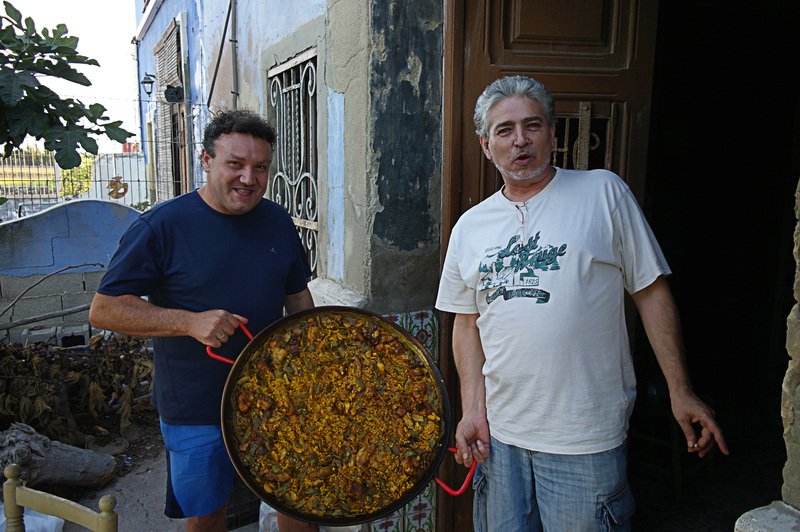 But after a year of living in Valencia, I feel what I can best write on is what the Paella is and means to the Valencian themselves. 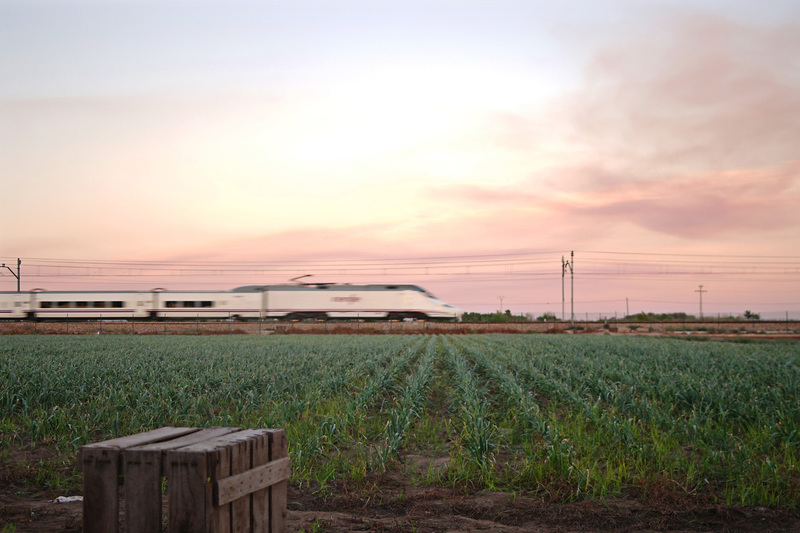 The photos were all taken at an afternoon lunch on a friend’s farm in the heart of Valencia’s most fertile farming land where Paella and an addictive preparation of snails were served. As a Londoner I have never been able to lay claim to a ‘regional dish’ of my own. In fact the only true London dish I can think of is some East End jellied eels. I am however a fierce defender of English food and believe we have some truly great dishes and a recent resurgence in British cooking has produced some amazing new chefs, restaurants and a realisation that the dishes and produce that we have can actually be wonderful with a bit of time and thought. But despite the resurgence here. 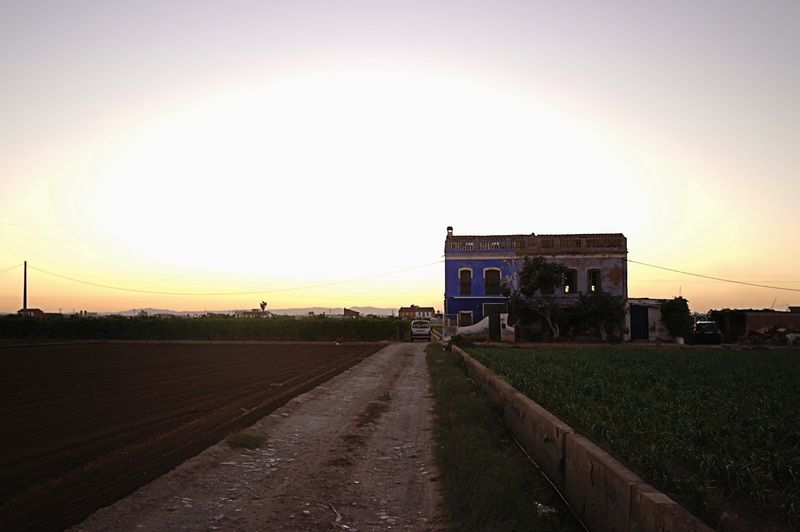 there isn’t the same attitude and relationship to regional foods and their history that exist in the likes of Spain, Italy and France; amongst many other countries. 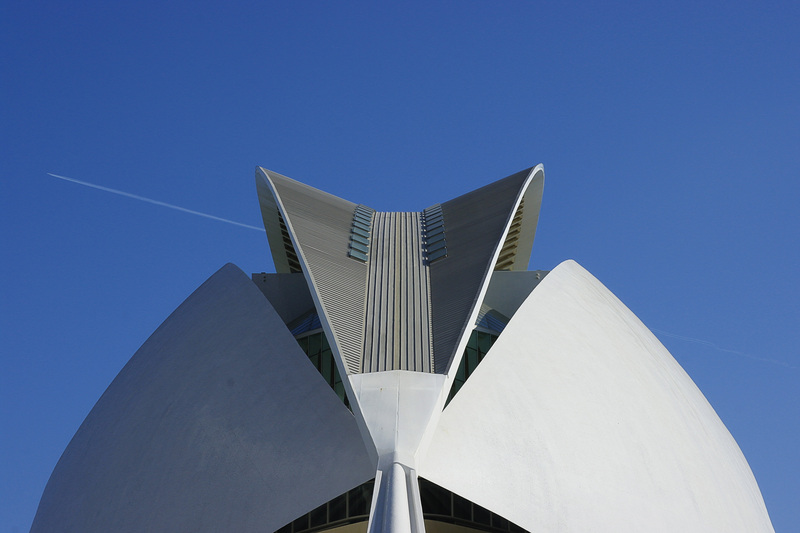 I remember my first flight to Valencia from London and reading an article from the in-flight magazine about the debate between Valencia and Alicante over the origins of the Paella and other rice dishes. I couldn’t believe things were so heated and unresolved after so many years, especially as it is barely a two hour drive between the two. The first paellas I ate were very average and formed part of lunchtime set menus in restaurants. 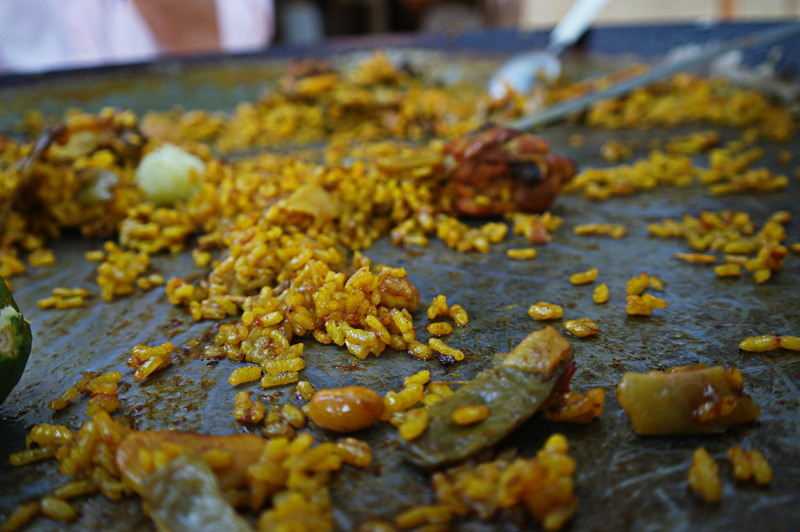 I kept asking where to go for a good paella and I was often pointed in the direction of Albufera (the National Park and principal rice growing region in Valencia) but the resounding answer was you need to go and eat it in a Valencian home. As cliché as it sounds, it really is true, and most simply because it is a Slow Food. Each paella needs to be done in it’s own pan, from scratch, preferably over wood from the abundance of orange trees and carefully attended to for flame intensity amongst other things – quite infeasible in a restaurant. The beauty of the Valencian paella, lies not in fancy ingredients but like most truly great dishes, in the little touches and techniques that bring those basic flavours and textures together in perfect harmony. I learnt that the rice is the real star of the show: it holds so much flavour from the other components that their role is reduced to mere sidekicks alongside the perfectly textured and rich grains. 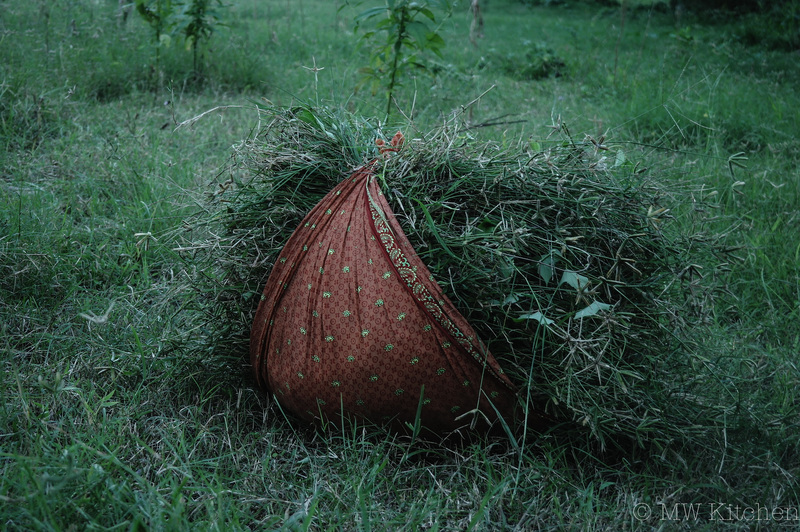 It was a peasant food, using the things that were easily available to the inland ‘campesinos’. Water voles have been replaced by rabbits and chicken, snails disappear and reappear through time, but nothing else has changed in the recipe. Ask a Valencian what their opinion is of chorizo in a Paella, or worse still the combination of chorizo, seafood and anything else that Costa del Sol restaurants throw in and watch as they shudder a little before composing themselves to ridicule what is known as ‘Paella Mixto’. Many just don’t understand why you would add chorizo which overpowers the other flavours of a seafood or Valencian Paella, or why the basic Paellas need changing at all. I guess that’s how the Italians feel about the thousands of abominations of Pizza and Pasta around the world too. And why wouldn’t they be frustrated? The gastronomic representation of their land and history is essentially abused and potentially given a bad name to the rest of the world that consumes it. 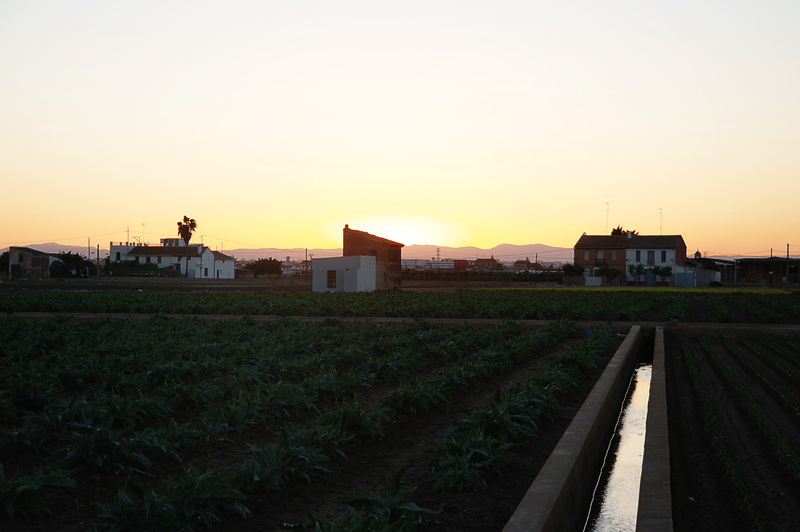 Returning from Sunday bike rides with my team was made an even more challenging task due to the midday air in the streets of every small town being filled with the aromas of Paella emanating from kitchens and gardens. 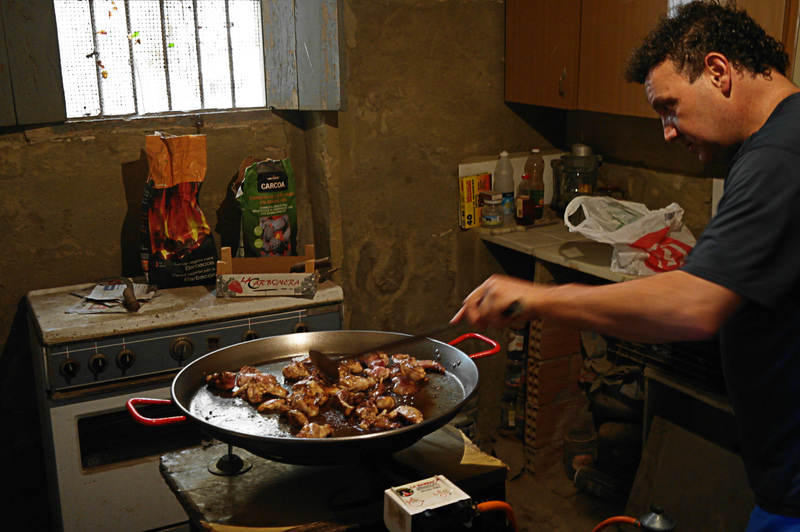 As each member of the team recounted their personal stories with Paella, debating matters such as varieties of rice and varying flame strength I came to understand that it remains a very macho dish that the man of the house devotes a few hours to every weekend. If not to provide a good family meal, to uphold his reputation as a good ‘paellero’. There is an unmatched pride in producing a Paella which ticks all the boxes and presenting it to friends and family who all come with their own expectations of how it should be. Successful execution of this depends on controlling the numerous small variables throughout cooking. It is perfecting the combination of developing a rich stock; the absorption by the grains; the speed of evaporation and correct cooking point of the rice – all this is very difficult and makes it the most challenging rice to cook well. This makes me wonder why its fame is so superior to that of the numerous other Valencian rice dishes. Ranging from dry to stock-heavy varieties, baked in the oven or on gas and with ingredients ranging from Cuttlefish ink to Morcilla (black pudding). In my opinion, nothing tops the ‘Meloso’ types of rice. These are cooked with a higher ratio of reduced stock to rice than Paella and therefore leaves a creamy rice almost comparable to a risotto but with flavours left true and not dampened by a parmesan and butter finish. “Rice has a neutral personality. It doesn’t have a particularly powerful or pleasant flavour, however we have such a varied gastronomic environment for it. There’s no other product with such a vast number of recipes; this is due to the capacity that it has to lose its personality and acquire the tastes of all that you combine with it”. So, how do you recreate this masterpiece? 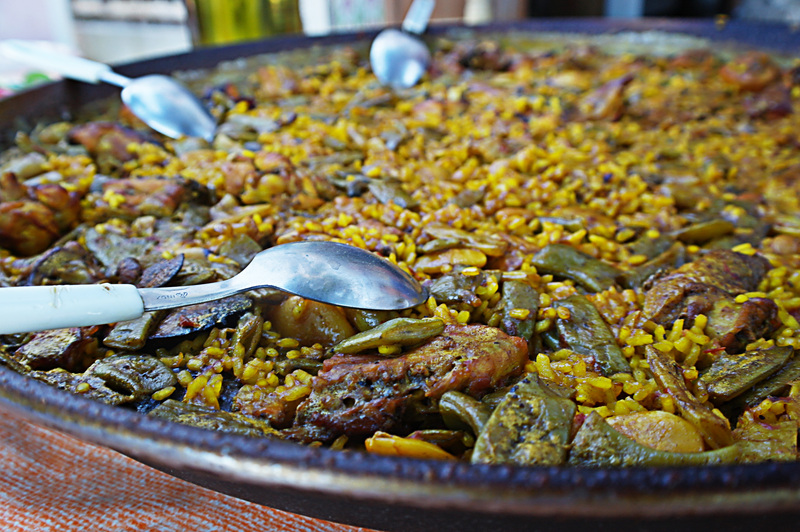 I would start by visiting www.LaPaella.net which provides insightful information into the history of the dish and the region, tips and tricks (including correct pan size) as well as recipes for this and Seafood Paella. As I learnt through watching, I will put down below what I took away. But in the words of the ‘paelleros’ that day, it is a dish that takes experience to perfect; so if you follow this recipe or the very similar one from LaPaella.net then you will recognise tweaks and how to improve its elaboration. In the correct sized pan over a medium-high heat, add the livers to the hot oil. Once browned, remove the livers and eat separately/discard, then add the chicken and rabbit. Brown the meat well, good caramelization here is vital to the stock. Once browned, reduce the flame and add the vegetables. Stirring occasionally, leave them to sauté for a few minutes. 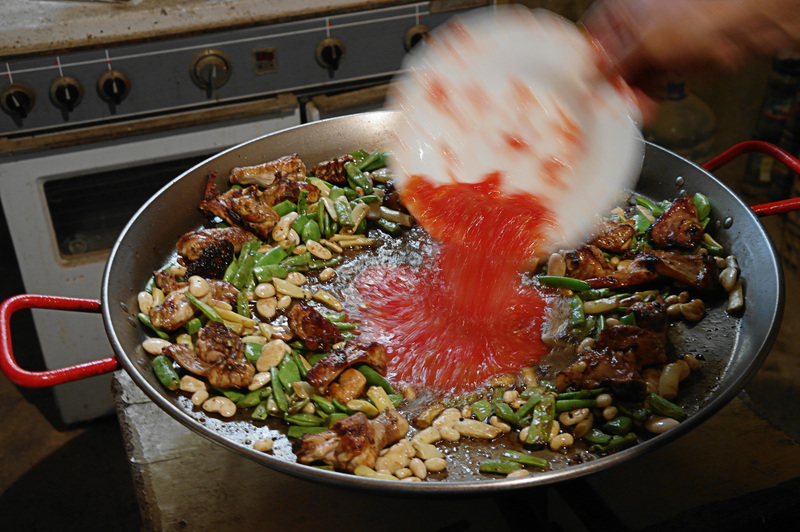 Make a well in the centre of the pan and add the grated tomatoes and the garlic, leaving it to reduce for a few minutes. Then add the paprika, stir and quickly add water so that it doesn’t burn creating a bitter taste. Fill the pan up to near the edge with the water. Add salt to taste, then leave it to reduce for around 35 minutes until the level is halfway up the pan and covering 75% of the ingredients. Taste for the correct level of salt here too, remembering that it will lose some intensity once the rice is added. Add the rice to the paella in a line from one side to the other through the middle of the pan. This line should be about 5cm wide and come above the stock level 1-2cm. Add the saffron and then stir well to spread the rice evenly around the paella, ensuring no grains are above the stock level. Now leave this for 8 minutes on a high flame. In this stage you achieve the burnt crust on the bottom layer of rice. Then reduce the flame to minimum and leave for another 6 minutes. Add the rosemary sprigs now too so they can infuse the paella. After these 6 minutes if stock is still visible then leave the paella on a medium flame for a further 4 minutes and if there isn’t any visible stock leave for another 3 minutes on minimum heat. Remove from the heat and leave to rest for 5 minutes before proudly taking it over to the table.